I am a Queenslander who lives in Victoria. Born on a Cattle Station out near Roma, we moved around a bit first to a dairy farm, a country pub and finally, at the age of 10, we left the bush and my Dad took over a pub in the heart of Collingwood, an inner suburb of Melbourne. I suppose after that change, nothing really shocks me, so I am a pretty relaxed customer. As a kid, I loved Football and Cricket and loved being fit. I had a crack at every sport. Underneath all of that was a deep sense of wonder. My religious education didn’t give me the answers so I developed an insatiable desire to learn; to find out; to know. Whether it was the pub upbringing, or something in my genes, I developed a capacity to use words to help others to understand. With a passion for story-telling and a deep desire to explore, I went down many roads. Since completing my Phys. Ed. 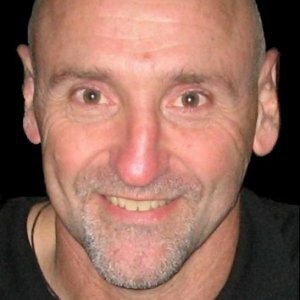 degree in 1981, I have served 7 AFL teams as either a conditioning coach and/or nutritionist, partially completed a Masters, I’ve written books, e-books, 100’s of articles, lectured in Universities, studied with people who live on the edge of discovery and have presented over 1500 seminars in the corporate arena. My quest s for answers led me to The Avatar Course where I found completion in my search for understanding. I now teach the course in Australia, NZ and the US. I have been married twice, have a wonderful son and two incredible step daughters. Published over 200 editions of Life Wisdom since 2000. Life Wisdom is circulated as an email attachment all over the world. Developed Australia's first ever Wellness Leadership Training Course in 2001. Course was accredited and has trained hundreds of Wellness Leaders since. Completed Highest Level of Human Consciousness Training available in 2006, completing the entire Avatar Course path, culminating in The Wizard Course in January 2006. Discontinued due to long term Illness in Family. Finding Balance in this demanding, deadline driven world is a challenge. It is a challenge that can either defeat us or provide the opportunity to grow, learn and evolve. The secrets lay in learning how to take personal responsibility for the life we create, every moment of every day. Freedom lies in our decisions. This is a fun seminar that opens up new viewpoints and reveals possibility.